What is a Beneficiary Statement in Real Estate? A beneficiary statement is a disclosure from the lender of record. It notes the unpaid balance remaining on a mortgage loan as of a certain date, including the interest rate. 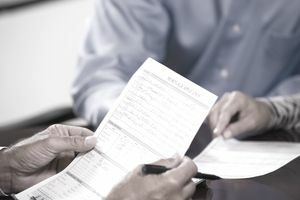 Lenders charge to deliver a beneficiary statement on request. The beneficiary statement contains the name of the lending institution and their address and telephone number. It has the account number of the existing loan. It has the name or names of the borrower or borrowers. It is dated, which is important as the amounts will change as interest accrues and the principal is paid. It has the current principal balance as of that date. It has the interest rate. It includes the date to which the interest has been paid. It also shows the statement preparation fee. Requests for beneficiary statements are less frequent in recent times because many lenders accept a copy of the borrower's last loan statement instead. In general, they contain the same information. If you wish to avoid paying a fee to get a beneficiary statement, ask if a current loan statement will be accepted. You may be able to download a loan statement from your mortgage lender's website that would have the same information as a beneficiary statement. Home sellers generally request beneficiary statements when they want to prove how much they owe against a property. There are be several reasons for needing this amount documented. They may be selling the home and need the beneficiary statement when the buyer purchases the home subject to an existing loan. The homeowner may be obtaining a junior mortgage and/or selling a junior mortgage. The homeowner is applying for a home equity loan and needs to submit the beneficiary statement. The homeowner is applying for a second mortgage and needs to submit the beneficiary statement from the holder of the first mortgage to ascertain the condition of the loan. There may be other financial applications and legal proceedings, such as a divorce settlement, where the need to have an official document stating the condition of the mortgage loan is needed. A beneficiary statement is very similar to a loan statement you receive regularly as you pay your mortgage loan, or that you can download in electronic form from your lender's website. A beneficiary demand instead lays out the full terms needed to pay off the loan and release the borrower from debt. In addition to what is on the beneficiary demand, it includes release fees, statement fees, recording fees, delivery or fax fee, daily interest amount, date to which the demand is valid, late fees and any other charges. A beneficiary statement is needed when selling a house to fully release the seller from the mortgage when the payoff is funded.